Electrostatic energy can accumulate and discharge suddenly, especially if you work in an environment with oil or gas. 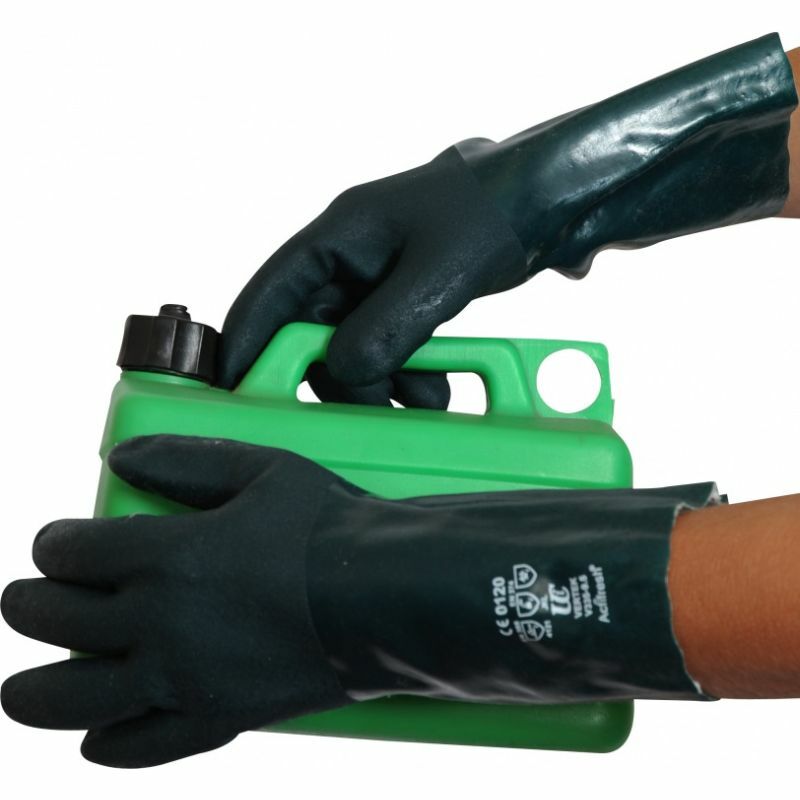 The Green V335 Double-Dipped Chemical-Resistant PVC 14" Gauntlets have been tested to EN 1149, meaning they are classed as electrostatic dissipative clothing and can be used in hazardous environments where there is a risk of energy accumulating. The Green V335 Chemical-Resistant Gauntlets have been tested to EN 374-2 and achieved an AQL of 0.65. As a result, they achieved a performance level three in this area. Please see the table below for the EN 374-3 results of the gloves. This standard shows that the protective gloves feature anti-static characteristics. This helps protect you against sudden discharges of electrostatic energy, making them particularly useful to wear in gas or oil environments. 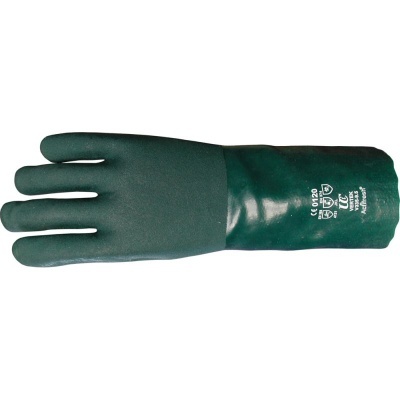 The Green V335 Gauntlets are designated Category III gloves, meaning they're suitable for high-risk tasks. The gauntlets enhance your grip, making them particularly suited to industries where gripping objects is difficult. This includes wet or oily settings. 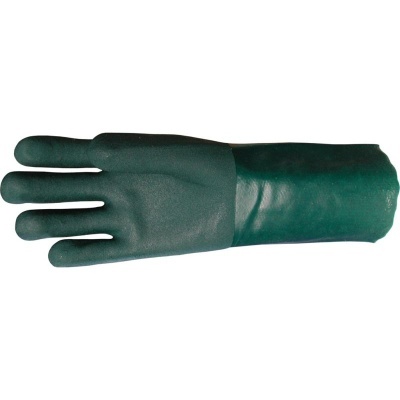 The Green Double-Dipped Gauntlets are available in two sizes to fit most hands. Please measure the circumference of your hand around the knuckles (excluding your thumb) with your palm open and your fingers together. Consult the table below to find out which size will fit you best.